Discussion in 'Giveaways and Contests' started by khanyash, Dec 21, 2018. Ashampoo UnInstaller is the solution to install, test and, if needed, uninstall applications with absolutely no leftovers. Eliminate unsolicited software installations, browser extensions and toolbars at the click of a button! The program carefully monitors each installation to allow for total removal, including temporary files, later on thanks to detailed logging and Deep Cleaning technology! The built-in snapshot feature allows you to compare different system states and instantly identify any and all changes made by installers or programs. Software-profiles for perfectly clean uninstalls even without installation logs. Permanently wipe sensitive data during uninstalls. Removes even the most complex and convoluted setups. Automatic leftover file scans also for default uninstallations. Fast uninstalls via drag and drop on program icons. No mercy: deletes even locked files. New subcategories for Windows Apps. I have extra 1 license. Comment on "why you would like to win Ashampoo UnInstaller" to make a valid entry. PM me within 3 days to claim the win. 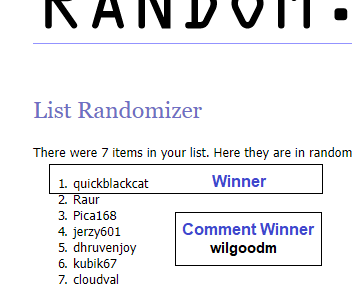 Winners - I have sent you the winning message. You have 3 days to reply the message. I used to remove unwanted Revo Uninstaller 3. programs but it ended with a license and after that time I have to change to another sofware removal program. That's why I decided on Ashamppo Uninstaller 8 from the description of this software that he would most suit me. thanks for the competition and the opportunity to win it. Thanks @yashkhan for this giveaway! I'd like to win a license because it clean uninstalls a lot of softwares even without installation logs and compete even with other known products. I'm only using the default Windows uninstaller at the moment but would like to have this as well in my PC if I win. Count me in please! I would like to win a license of this wonderful program. It offers a newer and easier to use interface with additional functions such as removal of leftover files even after windows default uninstaller. I would like to win Ashampoo Uninstaller 8 because I'm currently using both Revo Pro 3.2.1 and Ashampoo Uninstaller 7 I would like to get rid of Revo and upgrade my version of Ashampoo as it is more stable and has way more useful features. Thank you for the opportunity!! Thanks to yashkhan and Ashampoo for this giveaway. Ashampoo Uninstaller 8 seems to be a quite powerful uninstaller for the purpose of doing a thorough removal of garbage or programs in the system. Some features that I’m really like in Ashampoo Uninstaller 8 are snapshot taking, real-time installation monitoring and permanent file wiping. I’d like to test the performance improvement resulting from the unique ability of Ashampoo Uninstaller to run constantly in the background and log any changes made during any software installation. Moreover, taking snapshots before and after the installation of software is an effective method to differentiate the actual performance of an uninstaller. Some other uninstallers also have this feature but the snapshots taken by different uninstallers can be different from each other even when monitoring the same software installation. I'd like to compare the snapshot from Ashampoo Uninstaller with others. Meanwhile, users can also permanently wipe unwanted data and even programs with Ashampoo Uninstaller 8. This is also a handy feature which is missing in many uninstallers. Therefore, thank you for this opportunity. I hope there would be more features coming in the future. 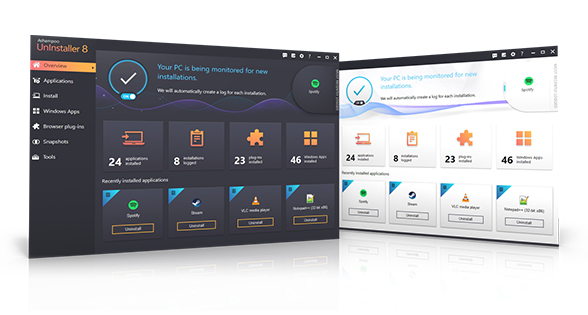 I want to win Ashampoo UnInstaller because this program is one of the best tools to remove applications and their traces, clean the system from garbage and maintain optimal performance of the computer. In addition to the main function, you can defragment disks. Thank you yashkhan for this great giveaway.